Accused movie theater gunman James Holmes is spitting at jail officers so frequently that at one point he was made to wear a face guard, sources told ABC News. Holmes' odd behavior was first seen by the public when he appeared in court Monday looking dazed, alternately bug-eyed and nodding with his eyes closing. But ABC News has learned that his loopy court appearance was just one of several bizarre behaviors. In the hours after his arrest Friday for the massacre at the Aurora, Colo., movie theater, Holmes stared at the wall in the Arapahoe Police Headquarters with his eyebrows twitching. Holmes told police he was the fictitious Batman villain, the Joker, and when cops put evidence bags over his hands to preserve traces of gunpowder residue, he pretended the bags were puppets, law enforcement sources told ABC News affiliate KMGH-TV in Denver. Since being held in the Arapahoe County Jail, Holmes has been spitting at the officers so much, they are forced to use a spit guard on Holmes when they have to move him. The bizarre actions by the former Ph.D student accused of killing 12 people and wounding 58 is seen by some as signs of psychosis -- or that he's faking it. His behavior in court Monday was particularly strange. Unshaven, with a shock of died orange hair, Holmes gave no indication he knew where he was. His lawyer even had to nudge him to rise when the judge entered the courtroom. He said nothing during the proceedings, in which he was held without bond. Some observers wondered if Holmes was on drugs or being medicated. Sources told ABC News he was not on drugs, leading to expert theories that he may have been in the grips of "psychotic episode," exhausted from stress or simply faking it. "I think there are two possibilities going on here," Marissa Randazzo, former chief research psychologist for the U.S. Secret Service and an expert in mass shootings, told "Good Morning America" today. "One is that he is in the middle of a psychotic episode which is quite possible. We see him distracted at multiple points, an almost sort of 'coming to' and trying to figure out where he is and process what's going on," she said. "The other thing that we're seeing -- and we've seen some of this behavior in the past couple months -- might suggest mania. Meaning hyperactivity, hyper energy, been possibly up and not sleeping for days. What we might be seeing here is the post effects." But Randazzo also said there was a third possibility. He might simply be faking it. "It's possible," she said when asked if Holmes' behavior could be all an act. "It is possible. We'll leave that open," she said, adding that most people who lie about that sort of behavior are sociopaths and "What we've heard about his history does not suggest sociopath at all." "Let's keep that in mind that he was studying neuroscience. He was studying exactly the type of brain issues that we're going to be talking about throughout this whole case," she said. Some relatives of people killed in the Colorado theater shooting are urging television news outlets to resist using suspect James Holmes' name and image in their stories for fear it gives him the infamy he craves. Two families made that specific point to Anderson Cooper on CNN, who said Tuesday he has largely complied. Some news experts, while saying journalists must be attuned to these sensitivities, also warned against losing sight of the chief responsibility to inform the public. Tom Teves, whose son Alex was among 12 people shot and killed Friday in Aurora, Colo., at a midnight showing of "The Dark Knight Rises," challenged TV news divisions during a Monday interview with Cooper. "I would like to see CNN come out with a policy that said moving forward we're not going to talk about the gunman," Teves said. "What we're going to say is, a coward walked into a movie theater and started shooting people. He's apprehended. The coward's in jail. He will never see the light of day again. Let's move on to the victims. Never talk to him again." Jordan Ghawi, whose 24-year-old sister, Jessica, was killed, said he has been talking publicly about her in part because "I don't want the media to be saturated with the shooter's name. The more airtime these victims have, the less time that man gets his time on television. "I can tell you the shooter in Virginia Tech and Norway and not long ago here in Denver," Ghawi told CNN on Friday. "I don't want that to happen here. I want the victims to be remembered rather than just this coward." Cooper said he didn't use Holmes' name at all while he was on the air Monday, instead using phrases like "suspect," "accused killer" or "accused shooter." He also tried to limit images of Holmes on his show, airing some from the suspect's court appearance Monday about halfway through his hour-long newscast. He said his show was acting on its own, not from some CNN directive. "Obviously my primary role is to report and be a journalist and tell people as much as possible," he said. "I think people know that person's name. They certainly know it by now and they've certainly seen the pictures over and over again." Traveling to Colorado to report on the scene gives journalists a better idea of the community's sensitivity than they might otherwise get, he said. Certainly there have been instances in which TV news organizations hold back, like when there are particularly gruesome pictures or if reporting could threaten a hostage's life. American television networks resisted showing pictures of people jumping to their deaths from the World Trade Center on Sept. 11, 2001 and, after the first day of the story, restricted use of video of the airplanes striking the Twin Towers. But news executives constantly hear from people who don't want disturbing pictures shown, either because they are painful or give undue publicity to people responsible for brutal acts, said Marcy McGinnis, a journalism professor at the State University of New York at Stony Brook and a longtime former CBS News executive. "If you follow that, unfortunately, you would basically get to the point where you would never show anything of a tragic nature because it always affects somebody personally," she said. "You can't really make the decision on what to show or not show based on what the people affected are thinking." Who Holmes is and why he allegedly committed the atrocity is a major part of the story, she said, and digging into this could provide information that someday stops a person from doing something similar. At the same time, most people were curious about what Holmes looked like when he made his first court appearance on Monday, she said. The media shouldn't contribute to increasing Holmes' infamy so copycats might follow, said James Alan Fox, a professor in criminology at Northeastern University and one of the nation's foremost experts on mass murder. He's in favor of the media not naming these suspects to deny them the notoriety they often seek. While most Americans see these people as monsters, some view them as heroes to emulate. The media should also stop reaching for the kind of superlatives that a potential killer might seek to one-up by categorizing something as the "biggest, the deadliest, the worst, the first," Fox said. "You know what the problem with that is? Records are there to be broken." Bill Wheatley, a veteran NBC News executive who now teaches at Columbia University, said that while it is important for networks to be sensitive, he doesn't believe that restricting the use of Holmes' name or picture will have any effect on whether someone does something similar. He doesn't understand how television can cover a judicial process involving an alleged mass killer and not use the person's picture if it's available. "Self-censorship can be very dangerous," Wheatley said. "I'm not indicating there aren't times when self-censorship is appropriate, but they should be rare. It's a slippery path, because at some point you find yourself not reporting information that the public deserves to have. "The line is not always clear," he said. It is a fine line to walk as we blog about this senseless act. I don't want to help make him famous. Once the dust settles he won't be famous in the end. Because he is just another serial murderer. A pregnant woman who narrowly escaped the theater shooting rampage in Aurora, Colo., gave birth to a baby boy Tuesday, as her husband struggled to recover from a gunshot wound to the head and their family asks for donations to help with the staggering medical bills. 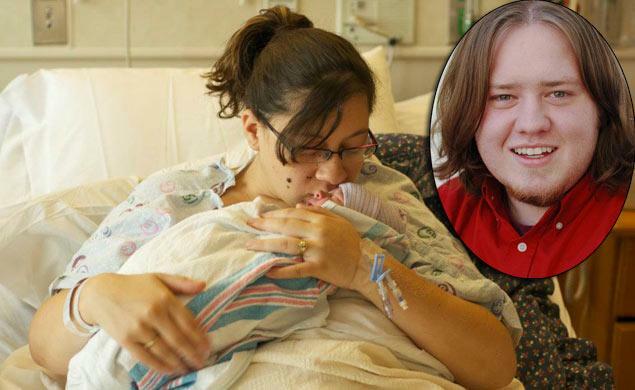 The family of Katie and Caleb Medley announced “they were excited to say Hugo Jackson Medley was born at 7:11 a.m. (MT),” according to an official at the University of Colorado Denver Hospital. “Both mom and baby doing great,” the statement said. The joyous news came as Caleb, 23, remained in intensive care at the same hospital after losing his right eye and suffering some brain damage in the Friday night massacre that left 12 dead and dozens wounded. Katie, 21, was seated next to her husband during the midnight showing of the new Batman movie but escaped the spray of bullets unharmed. But now the young couple, who do not have health insurance, are also struggling to pay for the multiple surgeries and rehabilitation Caleb will require. Medical bills could top $2 million, his family told CBS. But doctors aren't sure if he will be able to see his baby right away because of infection concerns, according to Katie’s father, David Sanchez. Katie, who was scheduled to be induced on Monday, changed the planned location of her birth in order to deliver Hugo at the same hospital as her husband, an aspiring stand-up comic. Sanchez said Katie and Caleb were attending the premiere of "The Dark Knight Rises" as a special treat before Hugo arrived. Accused movie theater shooter James Holmes may have mailed a notebook to his school detailing his plans to carry out a massacre, sources say. The notebook that is believed to have been written by Holmes was mailed to the University of Colorado, where Holmes had been a student until dropping out last month, ABC News has learned. Fox News reported that the notebook was mailed to a specific psychiatrist at the university and that it contained "full details about how he was going to kill people, drawings of what he was going to do in it, and drawings and illustrations of the massacre." There are conflicting reports on whether the notebook arrived at the university before or after the massacre, but it was found on Monday during a search of the mailroom, ABC News learned today. Holmes is believed to have walked into the Aurora, Colo., theater dressed in riot gear and brandishing at least three weapons at the front of "The Dark Knight Rises" movie premiere around midnight on Friday. He allegedly set off two smoke bombs before opening fire on the movie theater patrons with an assault rifle, shotgun and a handgun. Twelve people died and 58 were wounded in the carnage. The university has not confirmed the existence of the note, but issued a statement saying that the "Colorado Anschutz Medical Campus can confirm that the suspicious package discovered at the Facilities Services building on Monday, July 23, 2012, was delivered to the campus by the United States Postal Service that same day." Discovery of the package prompted the evacuation of the building for about 90 minutes starting at 12:26 p.m., the school said. The school also refused to say whether Holmes was seeing a psychiatrist. Campus officials have insisted they handled the Holmes case correctly. "To the best of our knowledge, we did everything we should have done," the statement read. The detail of the mailed notebook adds to other information emerging about Holmes' troubles at the University of Colorado, where he spiraled down from a successful and apparently happy student to an accused mass murderer in a matter of months. He reportedly struggled academically in the PhD program he enrolled in last fall. On June 7, hours after he took a key oral exam which, according to ABC News affiliate KMGH, he failed, Holmes went out to a sporting goods store and bought a high-powered rifle, adding it to his growing arsenal. Three days later he withdrew from the PhD program with no explanation. Experts have told ABC News that it's possible Holmes has a mental illness that was exacerbated by the stress of failure. Holmes was arrested in the parking lot outside the Aurora theater after the shooting. He was wearing a gas mask, bullet proof helmet and vest, and all black clothing, and told the police that he was the "Joker," a character from the Batman movie, "The Dark Knight." Holmes will be arraigned July 30 in Aurora District Court. A US judge has issued a rare order that prevents a university from releasing records about alleged Aurora cinema shooter James Holmes. Much speculation surrounding the 24-year-old's possible motive has focused on his time studying neuroscience. University documents are usually available under the Colorado Open Records Act, but District Court Judge William Silvester cited a provision that bars the public from viewing open records 'prohibited by ... the order of any court'. His order was signed on Monday but released on Thursday. At the request of Holmes's lawyers, Silvester also reinforced an earlier order barring officials of the district attorney's office and law enforcement officials from releasing information about the case before the trial. Holmes is being held in solitary confinement at a detention centre. He will face court for allegedly killing 12 people and wounding 58 more at a screening of the Batman movie The Dark Knight Rises. 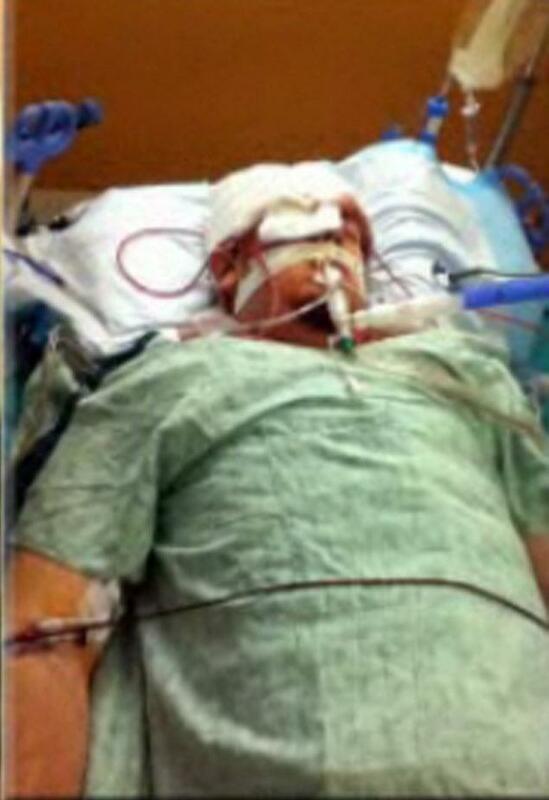 That picture of the man in such critical condition just breaks my heart. They just had a baby. I sure hope he can pull through it. This is so sad and senseless. AURORA, Colo. -- A pregnant mother who was wounded in Aurora Theater shooting suffered a miscarriage Saturday, the family said. Ashley Moser's 6-year-old daughter, Veronica, died in the same shooting. Ashley Moser was shot multiple times, including once in the stomach. The 25-year-old victim underwent additional surgery Saturday morning. "Tragically, the extreme trauma she sustained also caused a miscarriage," her family said in a statement issued Saturday evening. "We want to send a special to the courageous HEROES of law enforcement, other first responders, paramedics, and doctors and nurses who have all gone beyond the call-of-duty in caring for our daughter, granddaughter and all of the other victims of this tragic event. "Our sincere appreciation goes out to all of those who have been sending well-wishes, prayers and good thoughts to Ashley. Her lifetime of care will be a long road. For those who wish to donate, please go to any Wells Fargo Bank and request the 'Donation Account for Ashley and Veronica Moser.' This is the only official donation account for the family." Funeral arrangements for Veronica are still pending. AURORA, Colo. -- A 6-year-old girl who was shot during the rampage at an Aurora theater was among the 12 killed. Veronica Moser Sullivan had gone to see the Batman movie with her mother, Ashley Moser, 25, when shots rang out in their theater. Veronica died from her injuries. Ashley was left in critical condition, with gunshot wounds to her neck and abdomen. She is paralyzed below the waist. Annie Dalton, Ashley's aunt, picked up Ashley's car from the parking lot of the theater Saturday. "(Veronica was) a vibrant little girl ... just was bragging about learning how to swim on Tuesday," Dalton said. Ashley has been in and out of consciousness and asking for her daughter during moments of lucidity. "Nobody can tell her about it," Dalton said. "She is in critical condition, but all she's asking about is her daughter." "Her whole life has changed in a flash, for what?" Dalton said. Veronica's aunt, Denise Paba, was grief-stricken when she visited a makeshift memorial for the victims near the movie theater. Standing before a white cross for Veronica, Paba broke down as she tried to express her feelings for the little girl's mother. "I'm so sorry, I'm so sorry," the aunt said. "I want to tell her mother this, 'I am out here for you. I am out here for your daughter. I love you. I'm so sorry for your loss, I'm so sorry, I'm so sorry…'"
A fundraiser will be held at Bar Louie, 10661 Westminster Blvd., in Westminster on Aug. 5 from 3 p.m. to 8 p.m. There will be a silent auction. Cash and check donations will be accepted. That was such a sad story. AURORA, Colo. -- Selling hope one glass of lemonade or black memorial ribbon at a time, people are trying to get involved this weekend to raise money for families impacted by the movie theater massacre. They will raffle off Colorado Rockies and Denver Broncos tickets tonight as well, but you don’t have to be present to win, the manager told 7News. We found girls selling lemonade in Saddle Rock Friday for the benefit of shooting victims, as well. The Royall Hilltop in the Seven Hills shopping center near Hampden avenue and Tower road will donate 10 percent of sales Sunday and all tips to a fund established for Alex Sullivan, 27, who died in the shooting. Aug. 10 YoCraze in the same Aurora shopping center will also hold a fundraiser to benefit victim’s families. All while five people remain in critical condition, including Yousef Gharbi, 16. Shot in the right side of his head, Gharbi has a piece of shrapnel close to his carotid artery in the neck. “And that’s the sad part. I want my brother to come home, of course, right now. I want us to go up there and go get him and bring him home and let’s go watch some movies. Of course, at home,” his sister said. She described the family’s interest in thanking the Aurora police officer who drove Gharbi in a police patrol car the hospital, rather than waiting for an ambulance to arrive. They are hopeful the teenager can recover but are surprised at the intensity of the past eight days. “It feels like months, to be honest. Months, which is the horrible part,” I said. I bet it does. It was a real life nightmare. AURORA, Colorado (CNN) - The man accused of opening fire inside an Aurora, Colorado, movie theater is expected to return to court Monday where he will face formal charges. James Holmes is suspected of killing 12 people and wounding 58 during a screening of the new Batman film on July 20. He is also being held in connection with the subsequent discovery of his booby-trapped apartment, which authorities think he rigged before leaving for the Century Aurora 16 multiplex. Holmes made an initial appearance in court last week, giving the public its first look at the 24-year-old former doctoral candidate since his arrest moments after the shooting. His hair dyed various shades of orange, Holmes appeared dazed. He looked down, then straight ahead and gave little indication he was paying attention to the proceedings. He did not speak. Holmes is being held without bond at the Arapahoe County Jail, where he is in isolation. He is being represented by a public defender. On the day of his initial appearance, Arapahoe County District Attorney Carol Chambers said prosecutors had an enormous amount of evidence to sift through. "The charges on which the court found cause included first-degree murder," she told reporters outside the courthouse. "I would say there's no such thing as a slam-dunk case." Deciding whether to pursue the death penalty is a long process that involves input from victims and their relatives, said Chambers, adding that a capital case would require a finding of either extreme indifference or deliberation. Authorities have so far remained silent about a possible motive in the case. Meanwhile, a court document filed Friday showed that Holmes was a patient of a University of Colorado psychiatrist before the attack. The disclosure was in a request by Holmes for authorities to immediately hand over a package he sent to Dr. Lynne Fenton at the university's Anschutz Medical Campus. According to Holmes' request, the package seized by authorities under a July 23 search warrant was a protected communication. "The materials contained in that package include communications from Mr. Holmes to Dr. Fenton that Mr. Holmes asserts are privileged," said the document filed by public defenders representing Holmes. "Mr. Holmes was a psychiatric patient of Dr. Fenton, and his communications with her are protected." In response, prosecutors asked for Arapahoe County District Judge William Sylvester to deny the request by Holmes, saying it contained inaccuracies including claims of media leaks by government officials that in reality may have been fabricated by news organizations. Sylvester granted a hearing on the request, which is also scheduled for Monday. Ten wounded survivors remained hospitalized Sunday at three facilities, including four in critical condition. There are other pictures on the above link that did not come through when I posted the picture. Plus a video. Matt McQuinn's friends and family gathered Saturday morning to honor his life. Matt McQuinn, 27, was killed in the July 20 shooting rampage in an Aurora, Colo., movie theater at a midnight showing of The Dark Knight Rises. According to accounts from his girlfriend, St. Paris native Samantha Yowler, and her brother, Nick, who was also in the theater at the time of the shooting but was uninjured, McQuinn used his body to shield Yowler from the gunfire. Twelve people were killed and 58 were injured in the shooting. Authorities said James Holmes, 24, entered the theater and opened fire. McQuinn's funeral service was held at the Maiden Lane Church Saturday morning. His burial at the Lawerenceville Cemertery follows the service. For the Friday visitation, Yowler wore a black dress with a black cast around her leg and used crutches to enter the church. She is recovering from a gunshot wound and surgery to her leg. McQuinn’s uncle Herb Shaffer of Pittsburgh said the last week has been rough for the family, but he said it’s been amazing to see the nation and the local community come together to recognize McQuinn’s heroism. “In a moment like that, you can’t think. All you can do is react, and for Matt to immediately react and protect the one he loved showed us what great character he had and made us proud that he was part of our family,” Shaffer said. McQuinn, a Vandalia Butler graduate, and Yowler, a Graham graduate, had discussed moving back to Ohio to be close to family, Shaffer said. Now, he said Yowler is still considering moving back home. Since the shooting Shaffer said both families’ “thoughts haven’t even been on (Holmes).” Rather, he said, they hope everyone will remember the people who died and the sacrifices made that day. Ben Hackley, friend and neighbor to Yowler, said it’s been difficult coping with McQuinn’s death. Family members said they expect many people will attend the funeral, which begins at 10 a.m. today at Maiden Lane. It’s estimated the funeral procession will leave the church between 11 and 11:30 a.m. Escorted by local law enforcement, intersections will be blocked briefly as the procession takes Bechtle Avenue north to Ohio 41 to Ballentine Pike. The procession then will turn onto Lawrenceville Drive. Burial will be at Lawrenceville Cemetery in German Twp. A benefit will be held Aug. 18 at the Lakeland Golf Course in St. Paris to raise money for McQuinn’s funeral expenses. Hackley is helping plan the event and said it will include several auctions. 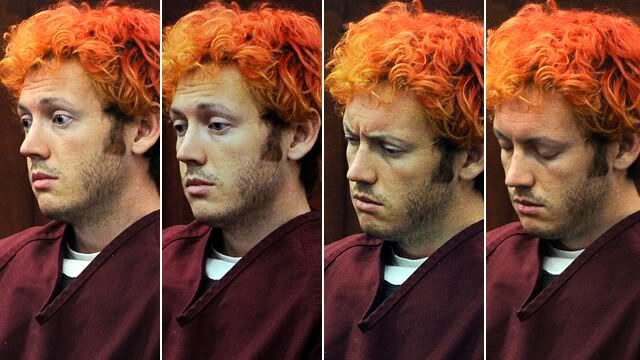 Aurora, Colorado (CNN) -- Colorado movie shooting suspect James Holmes was charged Monday with 24 counts of first-degree murder -- two counts for each of the 12 people killed in the shooting. Twelve murder counts cite "deliberation," and 12 cite "extreme indifference" to the value of human life. The 24-year-old former doctoral student was also charged with 116 counts of attempted murder; one count of felony possession of explosive devices; and one crime of violence, which is related to his use of an assault weapon, shotgun and handgun during the incident. The charges bring the total number of counts to 142 in connection with the July 20 massacre in which another 58 moviegoers were wounded in the Century Aurora 16 multiplex. During the hearing at the Arapahoe County Courthouse, Holmes appeared calm. For a while, he stared blankly at the bottom of the bench but appeared to be aware of what was going on. When the judge asked him if he would speak with his attorneys to ensure he understood why they were asking for more time before a future hearing, he said softly, "Yes." About half of the approximately 120 seats in the courtroom were filled with victims or their family members, more of whom watched the proceeding on video in an overflow room. One young man in the front row of the courtroom leaned forward and stared at Holmes without averting his gaze throughout the 45-minute hearing. One observer, her left arm and leg in bandages, was wearing a hospital wristband. Don Lader, who was in the eighth row of the theater when the shooting began, arrived at the courthouse wearing a Batman T-shirt. He said he had seen the movie twice since the aborted premiere. Holmes' next hearing is scheduled for August 9. The suspect was taken Monday into the courthouse through an underground tunnel that connects the courthouse to the Arapahoe County Jail, where he has been held in isolation without bail since the shootings. In his initial court appearance last Monday, Holmes -- his hair dyed various shades of orange -- appeared dazed and did not speak. Arapahoe County District Attorney Carol Chambers said last Monday that deciding whether to pursue the death penalty would take time, since it would involve input from victims and their relatives. Authorities have remained silent about a possible motive in the case. A court document filed Friday revealed that Holmes was a patient of a University of Colorado psychiatrist before the attack. The disclosure was made in a request filed by Holmes' public defenders for authorities to hand over a package he sent to Dr. Lynne Fenton at the university's Anschutz Medical Campus, where he had been studying neuroscience before announcing earlier this month that he was withdrawing from the program. The package seized by authorities under a July 23 search warrant should remain confidential, protected by the doctor-patient relationship, the request said. "The materials contained in that package include communications from Mr. Holmes to Dr. Fenton that Mr. Holmes asserts are privileged," said the document. "Mr. Holmes was a psychiatric patient of Dr. Fenton, and his communications with her are protected." In response, prosecutors asked for Arapahoe County District Judge William Sylvester to deny Holmes' request, saying it contained inaccuracies including claims of media leaks by government officials that in reality may have been fabricated by news organizations. Monday's court appearance comes after a weekend of funerals and memorial services for the victims. On Saturday, family and friends gathered outside Dayton, Ohio, to honor Matt McQuinn, who died while shielding his girlfriend from gunfire. "Greater love has no one than this, that he lay down his life for his friends," said Herb Shaffer, McQuinn's uncle. "In a moment of crisis, you don't have time to think about what you're going to do, all you have time is to react." Jessica Ghawi was remembered in San Antonio, Texas, by her brother, Jordan, who encouraged mourners to turn the tragedy into something positive. "If this coward could have done this with this much hate, imagine what we can do with this much love," he said. Ghawi, a 24-year-old aspiring sports broadcaster, had narrowly escaped a shooting incident at a Toronto mall less than two months before the killings in Colorado. "If you're putting your dreams on hold, you stop that right now," her brother said. "You don't know how long you have here." A private service was held in Crystal Lake, Illinois, for John Larimer, a 27-year-old Navy petty officer, who received full military honors. Ten survivors remained hospitalized on Monday, four of them in critical condition. Prosecutors filed formal charges on Monday against James Holmes, the lone suspect in the fatal shooting of 12 moviegoers during a screening of "The Dark Knight Rises" in Aurora, Colo.
Holmes, who was represented by a public defender at the hearing at the Arapahoe County Justice Center, was charged with 24 counts of first-degree murder and 116 counts of attempted murder. His attorneys asked for more time before entering a plea. For each of the 12 fatally shot moviegoers, Holmes faces one count of first-degree murder and one count of first-degree murder with "extreme indifference." The maximum penalty is death, the Denver Post reported. A 24-year-old former doctoral student at the University of Colorado, Denver, Holmes was held on suspicion of first-degree murder charges since the July 20 shooting spree during a midnight screening of the new Batman movie. Holmes, dressed in ballistic gear and armed with an assault rifle and three other guns, set off gas canisters before opening fire in the sold-out theater, police said. Holmes spoke just once Monday morning. When asked if he agreed to waive his rights to a preliminary hearing within 35 days, he answered "yes." Prosecutors were expected to file the charges last week, but at a July 23 hearing they requested and were granted a continuance. District Court Judge William Sylvester issued an order forbidding Holmes from having contact with victims or witnesses. He also barred law enforcement and attorneys from speaking publicly about the case, in an effort to protect Holmes’ constitutional right to a fair trial. Prior to the media gag order, 18th Judicial District Attorney Carol Chambers said her office was considering the death penalty against Holmes. It remains unclear if a decision has been made. In contrast to Holmes' first appearance in court last week, no cameras were permitted in the courtroom. His arrival Monday was kept largely out of sight as officials brought him to court through an underground tunnel. For the past week, images of his bright orange hair and facial expressions appeared repeatedly in the news media. Holmes allegedly told his Colorado jailers that he does not know why he is behind bars. According to the Daily News, an employee of the Arapahoe County Detention Center said the jailers believe Holmes is faking amnesia. Holmes is being detained without bond. Nearly six weeks before the Colorado theater mass shooting, the university psychiatrist treating accused gunman James Holmes alerted the school's threat-assessment team that he might pose a danger to others, KMGH-TV is reporting. The ABC affiliate, citing unnamed sources, writes on its site that Lynne Fenton, who helped create the University of Colorado's Behavioral Evaluation and Threat Assessment team, "contacted several members of the BETA team in separate conversations" about Holmes during the first 10 days of June. Holmes was arrested after a heavily armed gunman in body armor killed 12 and wounded 58 theatergoers during a July 20 screening of the new Batman film, "The Dark Night Rises," in Aurora, outside Denver. On Monday, he was charged with 24 counts of first-degree murder. KMGH says its sources did not know what Holmes told Fenton that caused concern. "It takes more than just statements," said one source. He would have had to tell Fenton "something specific" before she would have to report it to law enforcement. "He would have to tell her he had taken steps to make it happen," another source told the Denver station. Sources also said university officials did not share the concern with Aurora police. A source said the BETA's involvement "never came together" because Holmes on June 10 suddenly informed the school he was dropping out of the neurosciences doctoral program. Three days before, he bought the semiautomatic assault rifle that police say was among the weapons used in the rampage. Citing a court-imposed gag order, a university spokeswoman declined to comment to KMGH on Fenton, who is medical director for the Student Mental Health Service, or on the BETA team's actions. Fenton did not respond to phone calls for comment, USA TODAY's William Welch reports. Jacque Montgomery, executive director of media relations for the University of Colorado-Denver medical campus, said the university could not comment on the report because of the court's gag order restricting comments relating to Holmes, and privacy laws. Montgomery confirmed that Fenton was one of the founders of the campus BETA team. She said Fenton was "one of many resources'' for people who had concerns about a student's mental health. "A BETA Team stands for a Behavioral Evaluation and Threat Assessment Team. It is a resource consisting of representatives from various offices within the University of Colorado that exists to provide information to faculty, staff, or students who are concerned about a member of the campus community. Any person in the University community has the ability to contact the Chair of the BETA Team, or other member, to report a concern. "The BETA Team is not a law enforcement mechanism, but instead allows members of the university community to confer and collaborate about how to provide support and resources to those involved. Who will participate and what the BETA team might do in a particular case would vary depending upon the issue brought to a member's attention. For example, if a student is concerned about her roommate and stress that she is experiencing around the time of finals, members of the BETA team might confer with officials in student housing or the student's department. "The BETA team is not an administrative, treatment, or disciplinary body, and its purpose is to provide support, information, and referrals to those dealing with difficult situations." The psychiatrist treating alleged Colorado movie theater shooter James Holmes reportedly notified authorities about his concerning behavior nearly six weeks before the fatal shooting but nothing was done because Holmes was in the process of dropping out of school. Dr. Lynne Fenton was so concerned about Holmes' behavior she contacted the University of Colorado's Behavioral Evaluation and Threat Assessment program — a group of university staff members who are trained to assess potential threats on campus, ABC 7 News reported Wednesday. “Fenton made initial phone calls about engaging the BETA team” at the beginning of June but it “never came together” because while Fenton was contacting BETA Holmes began the process of dropping out of school, a source told ABC 7 News. Just weeks before he allegedly opened fire on a crowded theater of Batman fans attending the midnight premier of "The Dark Knight Rises," Holmes dropped out of one of the country's most prestigious neuroscience PhD programs. When he withdrew from the program, BETA officials "had no control over him," a source told ABC 7 News. However, his abrupt departure from the university might not have been the only thing that kept BETA from working with him. Even though Fenton might have been concerned, "there may not have been an immediate threat," which is why BETA didn't step in, a source told the television station. While no one knows what Holmes did or said to spark Fenton's concern, it would have had to be something tangible. “He would have to tell her he had taken steps to make it happen,” a source told ABC 7 News. BETA officials reportedly never contacted Aurora, Colo., police about Fenton's concerns. It's fascinating to look at James Holmes after he graduated high school to get an idea of his personality in what I call facial profiling or here personality profiling. The first photos released to the media how Holmes with dyed red hair and a face that is completely void of emotion or expression. Holmes appears to be lost in deep hole, so who was he before this? Here we get to see a glimpse. Was he extroverted? Introverted? Fearful of people? Talkative? Withdrawn? Who was James Holmes? I think everyone can see he was an awkward teenager, who by all appearances is shy and reserved. He was not the kid on the football team or in the popular crowd. I think we can all see that. The way Holmes moves in this video shows an awkwardness--a struggle--to connect with his audience. It is clear he is not an extrovert by any means. He is one who is likely quiet and observant, and only speaks after considerable thought. I think we can clearly say this young man was not verbose either, as seen by his speech. He is an introvert, without question. He does smile at times, and the smile communicates two messages: nervousness as well as a slight joy in sharing his presentation. Holmes appears to enjoys sharing the concept of that man can manipulate perceptions. It seems to fascinate him. He lights up when he talks about it. I think he truly likes the ideas of illusions, which is chilling today considering what has happened. It makes you think: Did he create the ultimate illusion for himself where he lost touch with reality on purpose through drugs (Vicodin), was it mental illness (schizophrenia), or is it the ultimate illusion on us, the people? Or was it some combination of these? People are questioning all of these, but with the information we have to date, we cannot say with any certainty yet what it is until we get more facts or an interview from Holmes--though I do tend to think schizophrenia sounds most plausible. When I look at Holmes, I also see his is not a man who is fear-based. Fear-based people show an insecurities on their face (doubt, fear, confusion, anxiety) and in their facial expression/features and Holmes has none. He isn't comfortable doing a presentation but he is not insecure. I wish I could verbalize it more. He was not a guy who didn't do things because of fear. He wasn't held back by his fears. Holmes hits me as the school nerd, who was likely well read and knowledgeable on subjects. He was likely seen frequently lost in books most people would pass by. He loved getting lost in his internal world, where I suspect he spent most of his time. He likely got lost in science books and hence the reason he chose a field of study in science: neuroscience. He was obviously curious in nature and liked to learn and explore. Holmes was not a social, people-person by any means, and you have to wonder if rejection from people helped fuel what happened on a conscious or subconscious level. Holmes didn't fit in. His facial features do not show a soft-touchy feely kind of guy either. He is quite withdrawn emotionally and was not the hugging or affectionate type. Features that identify warm and fuzzy people are rounded, full features--which Holmes does not have. When Holmes walked down the street, he was not one to engage in eye contact with strangers or say a casual hello. He was one who kept eye contact to a minimum. I have no doubt about that. If you doubt the validity of facial profiling, read some research articles on it. It's quite fascinating! The man who led Casey Anthony's defense team to victory in her murder case has officially been tapped to represent the mother of one of the "Dark Knight" massacre victims ... TMZ has learned. Attorney Jose Baez is now representing Shirley Wygal -- whose 32-year-old daughter Rebecca Wingo (above, right) was shot and killed by James Holmes inside the Century 16 Theater in Aurora, CO.
As we previously reported ... Shirley believes the theater is partially to blame for the tragedy claiming the emergency exit doors should have been alarmed, or there should have been security guards posted next to them. Wygal tells TMZ, "When police came that night with official word, Rebecca's baby asked, 'How did he get in?' Dissatisfied with the answer, she asked again. At just 5 years old, she wants to know how it could happen and so do I. If any entity had an obligation to protect the innocent and did not, then every survivor and loved one left behind must hold them accountable. The first step is a timely and thorough investigation." She continues, "I've engaged a firm large enough to help us all. I am confident in their expertise and appreciate their making this a priority. Rebecca would love these attorneys. As a mom, she'd want her girls to have the truth. As a daughter, she'd insist I find that truth for them." Wonderful.....Is he trying to over come the whole KC case by representing real Victims. I have no clue why anyone would hire him. She continues, "I've engaged a firm large enough to help us all. I am confident in their expertise ( ???? )and appreciate their making this a priority. Rebecca would love these attorneys. Obviously someone who didn't follow the case like we all did! I was flabbergasted when I read the above Lisette! DENVER – The former graduate student accused in a deadly mass shooting at a Colorado movie theater had failed a key exam six weeks before the rampage, made threats and was banned from his college, prosecutors said Thursday. University of Colorado Denver spokeswoman Jacque Montgomery later disputed that James Holmes was banned from campus but confirmed that a criminal background check was done on him before the July 20 attack. She said a court gag order prevented her from discussing who requested the check, who performed it, and who saw the results. Montgomery's statement was believed to be the first explicit public confirmation that a check had been done on Holmes' background before the shootings. Montgomery did say that campus Police Chief Doug Abraham was referring to that background check when he said at a July 23 news conference that Holmes had only a minor infraction on his record. She said Holmes' access to restricted areas on campus was canceled because he left his program in June, not because of threats. Prosecutors made their new claims Thursday against Holmes in their effort to persuade a judge to allow them access to 100 pages of education records subpoenaed from the university, where Holmes had been a neuroscience doctoral candidate. The university turned over the documents last week, but Holmes' lawyers moved to keep them sealed. Chief Deputy District Attorney Karen Pearson told the judge that Holmes was stockpiling ammunition, body armor and explosives at his apartment and at the university while he was flunking out. Gaining access to the records, she argued, would establish motive by showing what Holmes hoped to accomplish at CU and the "dissatisfaction with what occurred in his life that led to this." The judge said he would rule in time for the next hearing in the case, scheduled for Aug. 30. Holmes is charged with killing 12 people and wounding 58 in the shooting during a midnight showing of the latest Batman movie. He has not issued a plea and remains held without bail. The prosecutors' account presented a sharply different picture of Holmes' departure from CU from that provided by university officials in the days after the shooting. Pearson did not elaborate on the nature of the threats during the hearing, nor did she disclose the source of the information. But she said that professors had urged Holmes to get into another profession and that his research had been deteriorating. Prosecutors are seeking Holmes' university application, his grades, course schedules, emails concerning Holmes, and anything concerning his termination or withdrawal from the school in June. "What's going on in the defendant's life at the time is extremely relevant to this case," Pearson said. Defense lawyer Daniel King objected to the release of the records, calling the prosecution's request a "fishing expedition that needs to be stopped." Holmes appeared more engaged in the hearing than previous court appearances. His walk was more deliberate when he came into the courtroom. Rather than staring blankly ahead, he looked at the judge for most of the hearing. Before a gag order was issued, the university had said campus police had no records on Holmes. University officials also said Holmes lost access to university buildings after his June 10 withdrawal because his student access card was shut off, not because of threats or any other safety reason. The university also said in writing there were no documents related to the decision to bar Holmes from the campus. Prosecutors say they need the university documents to gain access to a notebook reportedly containing violent descriptions of an attack. The notebook reportedly was in a package Holmes sent to university psychiatrist Lynne Fenton. King has said the notebook is protected by a doctor-patient relationship. King claims that Holmes is mentally ill and had sought out Fenton for help with that illness. Fenton is expected to testify at the Aug. 30 hearing. Pearson said prosecutors want to establish whether Fenton was Holmes' psychiatrist at the time he sent the package to her, and if she was, whether the notebook was meant for therapy, which wouldn't be protected under the doctor-patient privilege. Former Denver Deputy District Attorney Karen Steinhauser said arguments over the records show both sides are gearing up for a trial over Holmes' sanity. "They know it's not a question of who did this," Steinhauser said. "They know that the only possible defense is that he was not sane at the time." School records don't have the same legal protection as communication between a doctor and patient. Steinhauser said the records might help prosecutors establish that Holmes implicitly waived his right to privacy if he talked about some of the same things he spoke to his doctor about. Educational records released by the University of Illinois, Urbana-Champaign, a school Holmes considered attending, contained a letter of recommendation that described Holmes as having "a great amount of intellectual and emotional maturity." Aurora movie theater shooting suspect James Holmes told a University of Colorado classmate in March that he planned to kill people "when his life was over," a prosecutor said in court records released Friday. This statement was made about four months before the July 20 shooting rampage at the Century 16 theaters, the prosecutor said. Then in June, he failed his graduate school oral examinations, and he was denied access to CU's Anschutz Medical Campus in Aurora on June 12 "after he made threats to a professor at the school," Arapahoe County Chief Deputy District Attorney Karen Pearson wrote in court papers. As the 24-year-old neuroscience student voluntarily began withdrawing from the graduate program and was denied access to campus, "he began a detailed and complex plan to obtain firearms, ammunition, a tear-gas grenade, body armor, a gas-mask and a ballistic helmet, which were used in the commission of the murders and the attempted murders," Pearson wrote. Holmes was treated by CU psychiatrist and professor Lynne Fenton for an unspecified psychological problem. His defense attorneys have said he is mentally ill.
Holmes is now charged with the murders of 12 people and the wounding of 58 others in the movie theater rampage. Pearson made the revelations in a response to a defense motion to block a prosecution subpoena seeking access to about 100 pages of CU records about Holmes. Prosecutors said the records are necessary for them to determine Holmes' state of mind before the rampage. Prosecutors say the documents include information about Holmes' courses, emails, documents about his withdrawal from the university weeks before the killings and his oral and written examination information. During a Thursday hearing, Arapahoe County District Judge William Sylvester did not rule on the prosecution's request. Prosecutors are also asking for access to records from the university's threat assessment or BETA team. CALL7 Investigators were the first to report that Fenton, Holmes' psychiatrist, had reported his behavior to the BETA team. Holmes' defense attorneys have argued that any medical and school records are inadmissible in court because their release would violate doctor-patient confidentiality and the federal privacy law known as FERPA. The defense called the request for documents a "fishing expedition." The defense even objected to the judge inspecting the records alone in his chambers, saying they might contain the defendant's privileged information. The records remain sealed in the judge’s office. CENTENNIAL, Colo. - An FBI bomb technician testified Tuesday that alleged Aurora, Colo., movie theater shooter James Holmes rigged an elaborate booby trap system intended to pull police away from the Colorado theater shooting, and that it included improvised napalm and thermite, which burns so hot that water can't put out the blaze. Garret Gumbinner described the system at a hearing in which prosecutors are laying out their case against Holmes. He said three different ignition systems were found in Holmes' apartment. There was a thermos full of glycerin leaning over a skillet full of another chemical. Flames and sparks are created when they mix. A trip wire linked the thermos to the door. Police say Holmes hoped a boom box on a timer would lure someone to the apartment. So far the hearing has focused on the horror officers discovered at the theater just after midnight on July 21, 2012. The magnitude of the attack could be heard in the first 911 call to police, played Tuesday in court. It lasted 27 seconds and police say at least 30 shots could be heard. The call came in 18 minutes into the showing of "The Dark Knight Rises." Police also played a 911 call from a teenage cousin of 6-year-old Veronica Moser-Sullivan, the youngest person killed. A dispatcher tried to talk her through CPR but she sounded panicked and said she couldn't hear. A bearded and disheveled Holmes stared straight ahead as the calls were played and didn't show any emotion. Editor’s note: No electronic equipment is allowed in the courtroom. We’ll update here when possible during recesses and other breaks. CENTENNIAL, Colo.—A detective who interviewed James Holmes in the hours after the movie theater shootings in Aurora, Colo., testified he saw no reason to obtain a search warrant to test the suspect for possible drug use, despite some unusual behavior from Holmes at police headquarters. “I saw no indications that he was under the influence of anything,” said Detective Craig Appel during a preliminary hearing for Holmes on Tuesday. Under cross examination, Appel admitted that one of the officers guarding Holmes in a room at police headquarters saw the suspect try to stick a staple into an electric socket while waiting to be interviewed. In another incident, the same officer saw Holmes moving his hands in a “talking puppet motion” after they were covered by paper bags for evidence reasons. It was also revealed that Holmes was playing with a Styrofoam cup while at a table, Appel said: “He was just trying to flip the cup on the table." CENTENNIAL, Colo.—In the two months leading up to the Aurora, Colo., movie massacre, suspect James Holmes purchased four handguns and nearly 6,300 rounds of ammunition online and in person, an investigator testified Tuesday morning. On cross-examination, ATF Special Agent Steven Beggs said the weaponry was legally purchased because Holmes had cleared all background checks. "Is there any process in Colorado to screen out whether a severely mentally ill person is purchasing these items?" asked Tamara Brady, one of Holmes' public defenders. The last witness of the morning was Aurora Detective Tom Welton. Part of his assignment in the investigation was to verify that Holmes had created profiles on relationship-seeking sites Match.com and AdultFriendFinder.com. Welton said the defendant had used his own credit card and computer to start his Match.com account on April 19, 2012. He created the AdultFriendFinder profile on July 5. The detective testified that, at one time or another, Holmes used the words, "Will you visit me in prison?" as a status/headline on the sites. Holmes last visited both dating sites on July 18, two days before the early-morning massacre at the movie theater. CENTENNIAL, Colo.— A federal agent testified Tuesday that James Holmes, who is charged in the Aurora, Colo., theater massacre, had booby-trapped his apartment and intended it to serve as a distraction while he went on his shooting rampage. FBI bomb tech Garrett Gumbinner testified that Holmes used improvised napalm, homemade thermite, gasoline, smokeless gun powder, rifle bullets and a host of wiring and electronics to rig more than a dozen explosives and incendiary devices. Holmes told the agent that he hoped to draw his neighbors and police to the elaborate system by setting up music to be played loudly from his home computer or a boom box he placed near a dumpster outside his apartment. Above the boom box was a remote-controlled toy car and what looked like a remote control, but was in actuality a controller used in fireworks shows. It would have set off the explosives inside the apartment. Meanwhile, fishing line tied to the apartment door would also have set off the explosives. The testimony came during the second day of a preliminary hearing to determine if Holmes should stand trial for the shooting deaths of 12 people and for charges that he wounded numerous other people in the attack. Prosecutors also played the audio of two 911 calls during the morning court session. During one call, 30 loud gunshots can be heard during a 27-second call from inside the Aurora movie theater during the rampage. That 911 call, made by moviegoer Kevin Quinonez, was replayed in open court and caused survivors and victims’ family members in attendance to hide their faces and wipe away tears. A second call played for the court was from a 13-year-old girl, whose aunt and cousin was shot. On that four-minute call, a 911 operator tried repeatedly to instruct the teen how to perform CPR on one of her cousins who had not yet died. CENTENNIAL, Colo.—Day two of James Holmes’ preliminary hearing on mass murder charges could offer more clues to whether prosecutors and defense attorneys are prepping for a possible insanity defense. At times on Monday, through video, police testimony and the reciting of witness statements, both sides seemed to try to frame Holmes’ state of mind before, during and immediately after 12 people were killed and 58 injured in the movie theater rampage in Aurora, Colo., on July 20, 2012. Century 16 security cameras showed a nonchalant Holmes holding the door for others as he entered the movie theater shortly after midnight. He used his cellphone to print his ticket to the premier of "The Dark Knight Rises.” He dawdled near a concession stand for several minutes before entering Theater 9, where the shootings took place. Investigators say Holmes went out a side fire exit close to where his car was parked behind the complex. He then donned police-like tactical gear and got his guns before re-entering the side door about 20 minutes into the film. Arresting Officer Jason Oviatt was the hearing’s first witness. But a second officer testified that Holmes smiled when he asked him about accomplices. “It was like a smirk,” Officer Justin Grizzle testified. Detective Matthew Ingui said a witness told him that the gunman was "very calm and moving with purpose." Late in the day, defense attorney Daniel King engaged the Arapahoe County coroner in a discussion about the definition of a homicide. James Holmes to face trial on charges that allege he killed 12 people and injured 70 others in a movie theater last summer. CENTENNIAL, Colo. (AP) -- A Colorado judge says there's enough evidence for James Holmes to face trial on charges that allege he killed 12 people and injured 70 others in a movie theater last summer. Judge William Sylvester said Thursday that prosecutors have established probable cause on more than 160 felony counts. Holmes is due to be arraigned Friday, but his defense attorneys filed papers Thursday saying he's not ready to enter a plea. They are likely to ask for the arraignment to be delayed. The judge in the Dark Knight shooting case in Aurora, CO has entered a "not guilty" plea on gunman James Holmes' behalf. The plea was entered today by default after Holmes' attorney said he wasn't ready to enter a plea by the judge's deadline. The judge said Holmes may change his plea to not guilty by reason of insanity at a later date if he chooses. Holmes is charged with 142 crimes stemming from the Colorado shooting -- including 24 1st degree murder counts, and 116 counts of attempted murder. If convicted, he faces life in prison ... or execution. James Holmes appeared at his arraignment on Tuesday with a beard and brown hair. A judge on Tuesday entered a not guilty plea for James Holmes, after his attorneys said they were not ready to respond to charges that he opened fire on a Colorado theater, killing 12 people and injuring 70 more, according to the Denver Post. The plea, entered by Judge William Sylvester at Holmes' arraignment, was unexpected after rising speculation that the suspect would plead not guilty by insanity. His lawyers had repeatedly brought his mental health into question in previous hearings. The Denver Post notes that Holmes could still change his plea later. The 25-year-old grad school dropout was arraigned in Arapahoe County Court in Centennial. In his first public appearance in months, he had a shaggy beard and no trace of the orange hair dye made famous by his preliminary court date. Today, his trial was scheduled for Aug. 5. Prosecutors say plan to announce whether they'll seek the death penalty at an April 1 hearing. He sat silently through Tuesday's proceedings and wore a red jail jumpsuit. He sported a thick, bushy beard and unkempt dark brown hair. His parents, James and Arlene Holmes, sat silently at the front of the courtroom. There is a long court battle and countless hearings ahead. Holmes is charged with 166 counts, including murder, attempted murder and assault. Yesterday, Sylvester ruled that a not guilty by insanity plea would allow for a court-ordered mental evaluation, in which "truth serum" may be used, according to CBS News. A mixture of sodium amytal and pentothal, used to lower inhibitions so that psychologists might get a more accurate evaluation of a patient, has been employed for decades in the United States. Prosecutors say that he methodically planned the attack at the midnight screening of "The Dark Knight Rises" months in advance and have pointed to his booby-trapped apartment as evidence of his thought-out scheme. Holmes is accused of entering Theater 9 of the Century 16 multiplex with a ticket he bought 12 days prior, a gas mask and body armor. Armed with a shotgun, a pistol and a semi-automatic rifle, he allegedly threw a tear gas canister into the auditorium and unleashed a hail of bullets on moviegoers. He later surrendered to police without a struggle. He was held in a psychiatric ward for days last fall. Colorado shooting suspect James Holmes has offered to plead guilty and spend the rest of his life behind bars in exchange for avoiding the death penalty, according to court documents filed Wednesday. Prosecutors have not accepted the offer because they may choose to pursue the death penalty. "Prior to arraignment, Mr. Holmes made an offer to the prosecution to resolve this case by pleading guilty and spending the rest of his life in prison, without any opportunity for parole," the documents read. "If the prosecution elects not to pursue the death penalty, then it is Mr. Holmes' position that this case could be resolved on April 1." Prosecutors have said they will make a decision on whether or not to seek the death penalty against the 25-year-old Holmes at a hearing April 1. This month, a judge entered a standard plea of not guilty for Holmes, who is accused of a shooting rampage at a Colorado movie theater that left 12 people dead and 58 injured on July 20, 2012. In the documents filed Wednesday, his attorneys said they are still exploring a mental health defense, "and counsel will vigorously present and argue any and all appropriate defenses at a trial or sentencing proceeding, as necessary." "Nevertheless, Mr. Holmes is currently willing to resolve the case to bring the proceedings to a speedy and definite conclusion for all involved." CENTENNIAL, Colo.—Arapahoe County District Attorney George Brauchler wasted little time Monday morning in announcing he will seek the death penalty against the man accused of shooting 70 people, killing 12, during a midnight attack at an Aurora, Colo., movie theater last summer. "Justice is death," Brauchler told the court, minutes after the hearing started. Brauchler said his office surveyed victims and hundreds of people connected to the massacre to help make the decision. "I hope I can be in the room when he dies," said Bryan Beard, whose friend, Alex Sullivan, was killed in the theater. "If you cause death upon somebody, I believe the only justice is death." Court recessed after the announcement, but will commence again at 9:30 a.m. MT. Monday’s decision follows last week’s legal theatrics in which Holmes’ defense team said it would enter a guilty plea if the district attorney settled on a life-in-prison sentence. Not only did prosecutors decline the guilty offer—first made prior to Holmes’ March 12 arraignment—but they also lambasted the defense for making it public. In a 13-page rebuttal to the defense, the prosecution dubbed the public announcement “grossly improper” and “a calculated attempt to improperly inject” the plea in front of the Aurora community and the world. The prosecution also accused the Colorado public defenders office of violating the court’s order on pretrial publicity. Because of the defense’s public plea, the "only conclusion that [people] would reach ... is that the defendant knows that he is guilty, the defense attorneys know that he is guilty, and that both of them know that he was not criminally insane,” the prosecution’s filing said. Judge William Sylvester has scheduled the trial for four weeks starting Aug. 5. But the defense said that if the prosecution doesn’t accept the guilty plea, the trial could last months and could be delayed by multiple pretrial motions. At the March arraignment, defense attorney Daniel King said a trial without the specter of the death penalty could take as little as three weeks. But if execution is sought, King said they’d mount a vigorous defense based on an insanity strategy. A mental health defense would be central to Holmes’ case, his attorneys have implied repeatedly. Nearly all courtroom argument so far has revolved around his mental state, with the prosecution alleging that Holmes carefully crafted a “detailed and complex” scheme to commit mass murder—with his sanity fully intact. At the arraignment, King told Sylvester that Holmes wasn’t ready to enter a plea because the defense didn’t know whether the prosecution wanted to pursue the death penalty. The judge then entered a not-guilty plea on Holmes’ behalf, as allowed by law. Also at Monday’s hearing, Jana Winter, a Fox News reporter, is expected to testify about conversations she had with sources who gave her information for a story she wrote a few days after the July 20, 2012, theater massacre. Her article included details about an unopened package that Holmes mailed to the University of Colorado at Denver. Winter, quoting unnamed law enforcement officials, reported that Holmes sent his former school psychiatrist a notebook containing drawings that foreshadowed the attack. Because of a court gag order, those law enforcement sources were prevented from talking to the media. Holmes’ attorneys have argued that by divulging details to Winter, the two anonymous sources damaged the defendant’s right to a fair trial. Winter, through her attorney, has made multiple attempts to avoid appearing in court. The judge has denied her motions. Holmes, 25, was a former neuroscience student at CU-Denver before the massacre at the premiere of “The Dark Knight Rises,” the latest Batman movie. Police arrested Holmes, who was wearing body armor and had weapons close by, behind the theater shortly after the shootings. Police say he also booby-trapped his nearby Aurora apartment with explosives to injure or kill anyone who entered. He faces multiple counts of murder and attempted murder. A University of Colorado psychiatrist told campus police a month before the Aurora movie theater attack that James Holmes had homicidal thoughts and was a public danger, according to records unsealed Thursday. Lynne Fenton, a psychiatrist at the Denver campus, told police that Holmes had also "threatened and harassed her via email/text messages" in June 2012. He is standing trial for the July 20 shooting rampage that killed 12 and injured 70 during a midnight premiere of the latest Batman movie. Campus police would not comment, and a university spokeswoman did not immediately respond, the Associated Press said. Soon after the shooting, university police said they had not had any contact with Holmes, a graduate student doing neuroscience research. But a search warrant affidavit released Thursday revealed that an officer had told investigators that Fenton had contacted her to report "his danger to the public due to homicidal statements he had made." In releasing the arrest and search warrant affidavits and other documents, District Judge Carlos Samour, the new judge overseeing the case, ruled that neither the prosecution nor defense had convinced him that making the files public would cause harm or that keeping them sealed would prevent harm. KUSA-TV, published by Gannett, USA TODAY's parent company, and the Associated Press were among news organizations that argued the documents should be made public. One search warrant shows that police searching his car found a jar of bullets, a .12-gauge firearm, white powder and computer parts, KUSA said. Most of that information was disclosed during the January preliminary hearing. Arapahoe County prosecutors announced Monday that they would seek the death penalty, rejecting Holmes' offer to plead guilty and spend the rest of his life in prison. Samour then replaced Chief Judge William Sylvester, who withdrew. Sylvester administers courts in four counties and said prosecutors' decision to reject the plea offer meant the case would take up too much time. Before the January preliminary hearing, Sylvester voiced reservations about releasing the investigative records. Prosecutors argued the material should be kept under court seal to protect the privacy of victims and witnesses. Defense lawyers said releasing the records could jeopardize Holmes' right to a fair trial. James Holmes, who faces a death penalty trial on charges that he murdered 12 people in a shooting rampage at a Colorado movie theater in July, will plead not guilty by reason of insanity, his lawyers said. Holmes’s attorneys, in a filing today in Colorado state court in Centennial, held out the possibility that he will raise constitutional objections to the state’s capital punishment law as the case heads towards trial. Judge Carlos A. Samour Jr. said in an order today that he will consider whether there is “good cause” to let Holmes, 25, enter an insanity plea based on arguments from both defense lawyers and prosecutors at a May 13 hearing. Given Holmes’s previous claims that the death penalty law is unconstitutional, his lawyers decided “they are going to go ahead and enter the plea with the understanding that they are not giving up the right to challenge the statute at a later time,” Karen Steinhauser, a former Denver prosecutor now in private practice, said today in a phone interview. Holmes will probably be the first defendant in a Colorado capital case to challenge the constitutionality of the state’s insanity-defense laws, and such a challenge will delay a trial, Steinhauser said in a previous interview. “In this type of case, the defenses to homicide are either ‘I didn’t do it,’ or ‘I did it but it was justified,’ or ‘I did it but I was insane at the time,’” Steinhauser said today. In light of Holmes’s mental-health history, “I don’t think it’s a surprise that the defense has entered a plea of not guilty by reason of insanity,” she said. Lisa Pinto, a spokeswoman for the Arapahoe County District Attorney’s office, said in e-mail today that a pretrial order from the court bars prosecutors from commenting on the case. Holmes, who studied neuroscience at the University of Colorado, Denver, is charged with 166 counts, including murder and attempted murder. In addition to the 12 people killed, 70 were injured in the July 20 shooting spree at a midnight screening of “The Dark Knight Rises” in a Cinemark Holdings Inc. (CNK) theater in Aurora, Colorado, a suburb of Denver. Prosecutors in March rejected an offer from Holmes to plead guilty and spend his life in prison without any chance of parole in exchange for sparing him from the death penalty. Public defenders representing Holmes have already objected to a provision blocking Holmes from calling witnesses to present evidence about his mental condition if he doesn’t cooperate with court- appointed psychiatrists. Under Colorado law, psychiatrists are permitted to require Holmes to submit to interviews under the influence of a so-called truth serum, according to Steinhauser. The judge who previously handled the case, William Sylvester, entered a not guilty plea on Holmes’s behalf at his March arraignment. Sylvester also ruled that prosecutors may require Holmes to submit to a “narcoanalytic interview” under the influence of “medically appropriate” drugs. Such drugs can enable a person to recall something they’re having difficulty remembering, Steinhauser said. Sylvester last month reassigned the case to Samour, who scheduled the trial for Aug. 5, saying it will last four months. Holmes’s lawyers sought a trial date in the summer or fall of 2014, arguing it will last nine months. There are currently three men on Colorado’s death row, according to the state’s corrections department. The case is People v. Holmes, 12-cr-01522, 18th Judicial District Court, Colorado (Centennial). Colorado theater shooting suspect James Holmes can wear civilian clothes instead of a jail uniform at his trial, a judge said in a ruling made public Tuesday. Requiring Holmes to wear a jail uniform would violate the principle that defendants are presumed to be innocent until proven guilty, the judge said. Holmes is accused of opening fire in a packed movie theater in the Denver suburb of Aurora on July 20, killing 12 people and injuring 70 others. He has pleaded not guilty by reason of insanity to more than 160 counts of murder and attempted murder. In each of his court appearances to date, Holmes has worn an orange or red jail suit, and his hands and feet have been shackled. The defense also asked that he not be shackled during the trial scheduled to begin in February. No ruling has been released on that request. The order on clothing was one of nine issued on Monday by Judge Carlos A. Samour Jr. He granted a defense request for a list of prospective jurors as far ahead of the trial as possible. The lawyers suggested they wanted to review demographic data and other information while making sure court officials were following the laws in choosing the jury pool. In addition, Samour granted a defense request that a jury pool be chosen exclusively for the Holmes trial. Usually, members of a single jury pool are divided up among several trials. Samour denied a defense request that prospective jurors be sequestered, saying that would be impractical and noting that jury selection could take weeks. He also denied a defense request to consolidate some of the murder charges and attempted murder charges. Holmes must undergo an insanity evaluation at the state mental hospital before the trial can begin. It's not clear when the evaluation will begin or end, or whether it might delay the trial. So let's get this 'show' on the road. This is NOT rocket science here..OMG, send in Dr. DeMarte! CENTENNIAL, Colo. (AP) – Lawyers for Colorado theater shooting defendant James Holmes have added Holmes’ emails to the list of evidence they say should not be allowed at his trial. The defense said Friday the affidavits and court orders used to obtain the emails were so broad they netted emails that merely mentioned Holmes but weren’t sent to or from his accounts. Prosecutors say the requests had to be broad because investigators initially didn’t know if Holmes had accomplices. Holmes has pleaded not guilty by reason of insanity to charges of killing 12 people and injuring 70 in the July 2012 attack. Prosecutors are looking for any evidence, such as emails, that would undermine Holmes’ insanity defense. Holmes’ lawyers are also trying to keep his statements to police from being used as evidence. The courtroom battle over what evidence can be used against Colorado theater shooting defendant James Holmes has grown heated, with a defense lawyer aggressively questioning police officers about why Holmes was not allowed to see an attorney for hours after his arrest. Holmes pleaded not guilty by reason of insanity in the July 2012 attack, which killed 12 people and injured 70 others. In pretrial hearings this month, prosecutors and defense lawyers are arguing over any bit of evidence that might help make the case that Holmes was or wasn’t sane. On Friday, they will debate Holmes’ email records. Thursday, they skirmished over statements Holmes made to police about the bombs found in his apartment. Some of those statements could be used by prosecutors to undermine Holmes’ insanity defense, said Dan Recht, a longtime Denver lawyer not involved in the Holmes case. “It’s the prosecution’s view that those statements show a degree of forethought and a degree of articulateness that are indications of a sane person and not an insane person,” Recht said. Police questioned Holmes about the bombs after he had asked for a lawyer but before he was allowed to see one. The defense argues the delay in letting Holmes see a lawyer violated his constitutional rights. Prosecutors said the questions about the explosives were legal because lives were in danger and police needed to know how to defuse the bombs. Defense attorney Tamara Brady aimed pointed questions at law enforcement officers Thursday, her voice sometimes rising. She said they made Holmes wait more than 13 hours to see a lawyer even though they knew two attorneys were waiting to see him. Arapahoe County Judge Carlos A. Samour Jr. hasn’t said when he will rule on the whether Holmes’ statements can be used. Even if he excludes the statements, prosecutors still have a strong case, legal analysts say. Holmes’ attorneys have acknowledged he was the shooter, but they say he was in the midst of a psychotic episode. Holmes’ trial is scheduled to start in February. Prosecutors are seeking the death penalty. Eerie self-portraits that Colorado theater shooting defendant James Holmes took with his cellphone hours before the attack could be shown to jurors after the judge ruled that prosecutors could use evidence from the phone at his trial. Other photos on the phone amount to surveillance of the theater taken up to three weeks before the shootings, prosecutors have said. In a series of rulings made public Monday, the judge also said prosecutors could use evidence from Holmes' bank records, emails and computers. Defense attorneys had argued that the search warrant used to seize the cellphone, along with his cellphone records, bank records and other evidence, was flawed. The judge disagreed and rejected eight defense motions to suppress the evidence. The cellphone photos, shown in court last year, include one of Holmes wearing black contact lenses and a black stocking cap, with two tufts of his orange-dyed hair sticking out like a pair of horns. In another, he holds a pistol beneath his face and grins into the lens. A third shows an assault rifle and shotgun, magazines for ammunition, tactical gear and bags to carry rounds arrayed on a red sheet on a bed. 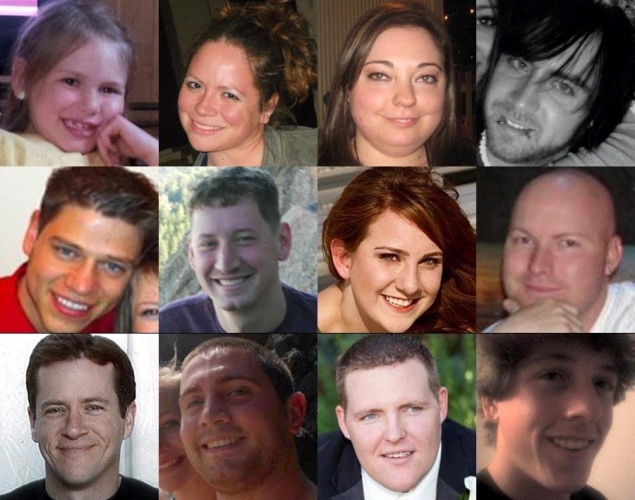 Police have testified that the photos were taken about six hours before the July 2012 shootings in Aurora, which killed 12 people and injured 70. A rifle and a shotgun were used in the attack. The photos of the theater were taken on June 29 and later. Holmes, a 26-year-old former neuroscience graduate student, has pleaded not guilty by reason of insanity to more than 160 counts of murder and attempted murder. His attorneys have acknowledged he was the shooter but said he was in the grip of a psychotic episode. Holmes' trial date is up in the air while both sides work their way through dozens of pretrial motions. As dramatic as the cellphone photos are, they are likely to be less important to the outcome of the case than a mandatory sanity evaluation Holmes underwent at a state mental hospital last month. The verdict on Holmes' sanity is up to the jury, and the evaluation will be a major piece of evidence. The key conclusions of the evaluation have not been made public, but prosecutors have asked for another by their own experts, saying the doctor who conducted the first one was biased. Arapahoe County District Judge Carlos A. Samour Jr. has not said when he will rule on the request. He held a four-day hearing on the issue last month that was closed to the public and reporters. The judge in the Colorado theater shooting case has put a new sanity evaluation for defendant James Holmes on hold because defense lawyers have objected to it. Judge Carlos A. Samour Jr. issued a stay Tuesday until the defense objections are resolved. It wasn't immediately known how long that will take. Details of the objections haven't been made public. Samour ordered the new evaluation last month at prosecutors' request, saying the first was inadequate. Holmes pleaded not guilty by reason of insanity to charges of killing 12 people and injuring 70 in the 2012 attack. Prosecutors are seeking the death penalty. Holmes' second evaluation was to be finished in July and his trial was to start in October. It's not yet clear how Tuesday's stay will affect that schedule. CENTENNIAL, Colo. -- Jurors late this month will begin hearing the legal arguments against accused theater shooting suspect James Holmes, who faces the death penalty if convicted. Prosecutors want to execute Holmes in connection with 12 shooting deaths at a suburban Denver movie theater in July 2012. The Arapahoe District Court on Tuesday seated the 12 jurors who will decide his fate, along with 12 alternates in case any jurors drop out during what is expected to be a months-long trial filled with graphic descriptions of the shooting and aftermath. Opening arguments are set for April 27. Judge Carlos Samour sternly admonished jurors to avoid the extensive media coverage. Reporters were not permitted to directly observe jury selection, and instead watched the proceedings from a separate room via a camera that didn't show who was selected to serve. "You have to keep an open mind throughout the trial, remembering that Mr. Holmes is presumed innocent," Samour told the jury after it was sworn in. "Folks, we are depending on you to uphold the oath you have taken." Arapahoe District Attorney George Brachler and defense attorneys repeatedly hinted at the emotional toll the case will take. About 7,000 prospective jurors were considered for the trial in a winnowing process that took months. One prospective juror told defense attorney Tamara Brady that he could be fair despite the massive number of charges. "James' life is on the line and I have to be fair," said the prospective juror. "It's not going to be easy, but few things in life that are easy are worth it." Holmes' parents say their son suffers from mental illness and previously begged prosecutors to agree to a plea deal that would see him locked up for life and spared execution. Prosecutors have declined, saying they believe only his death can bring justice for the victims and their loved ones. Holmes has pleaded not guilty by reason of insanity to killing 12 and injuring 63 in the July 2012 shooting at Aurora's Century 16 theater, which was packed with moviegoers watching a midnight screening of The Dark Knight Rises. Holmes has undergone two formal — and still confidential — mental-health evaluations. His lawyers acknowledge their client, a former neuroscience doctoral student, was the lone shooter but said he was gripped in a psychotic episode. They have repeatedly asked Samour to move the trial elsewhere, a move he continues to deny. Prosecutors contend Holmes may have been disturbed but knew what he was doing. Police say his apartment was booby trapped with explosives intended to hurt anyone entering it after he left for the theater that night. Family members of several shooting victims have launched a campaign urging reporters to avoid naming Holmes during their coverage, arguing it gives him notoriety and could spur copycats. They use the Twitter hashtag #nonotoriety to shame reporters they feel mention Holmes' name too often. The trial is expected to last through August or September. Because he pleaded not guilty by reason of insanity, Holmes was subject to two state mental health evaluations. The results had been confidential until the first minutes of opening arguments, when prosecutor George Brauchler revealed that both exams found Holmes was sane at the time of the attack. Defense attorneys countered that Holmes suffers from schizophrenia, thought Barack Obama was communicating with him through winks and nods in public speeches and held a bizarre theory that each life he took would somehow add to his own value. Behind bars, he sprinted into a wall while naked, cowered under a blanket and sucked his thumb and cried. Holmes' two grandfathers both suffered from schizophrenia, as does an aunt. Defense lawyer Daniel King said during opening statements Monday that Holmes was a normal child through elementary school but began to have mental health problems in middle school, attempting suicide at age 11. Defense attorney Katherine Spengler said Holmes' mental illness "revved up" in his 20s. She said he wanted to study neuroscience to find a fix for what was wrong with his brain. Prosecutors said Holmes had had a girlfriend who broke up with him months before the attack. He told her in an online chat about killing many people but she thought it was "theoretical." The breakup devastated Holmes. Police Sgt. Gerald Jonsgaard surveyed the carnage of a mass shooting inside a crowded movie theater. Then he saw her. She was a 6-year-old girl and seemed lifeless. She was the youngest victim in one of the worst mass killings in U.S. history. Its aftermath was a scene of screaming, blood everywhere and the odor of bodies ripped open by gunfire, witnesses testified this week. Jonsgaard, a 36-year veteran, just couldn’t take his attention off Veronica Moser-Sullivan, though she seemed dead. It was something about her age, he explained. She was such a little girl. As the murder trial of accused gunman James Holmes began this week, prosecution witnesses provided a vivid, horrifying image of the interior of the Aurora movie theater where the mass shooting happened in June 2012. Holmes, 27, a former doctoral student in neuroscience, is standing trial on charges of capital murder and other offenses. He is accused of killing 12 people and injuring 70 more. He faces 165 counts. Holmes has pleaded not guilty by reason of insanity. Prosecutors have said they will seek the death penalty. Katie Medley was just a week away from delivering her baby when she and her husband went to see the new Batman movie “The Dark Knight Rises” at a midnight show. They picked a seat that would give them a quick exit in case she went into labor. Medley saw someone interrupt the movie. “I saw him step in. He was wearing a (gas) mask and Kevlar. He had a longer gun with a scope on it,” Medley said. Medley and many other theatergoers dived for the floor. But not her husband, Caleb. He was still seated. His wife couldn’t understand why, she testified. “I looked up because I wanted to ask him, like, what are you doing, why are you still sitting in the chair and that’s when I saw blood pouring from his face and I knew that he had been shot in the head,” Medley said. She thought he was dead. He wasn’t. But he was shot in the eye. She later noticed he was breathing and choking on his own blood, she said. Fearing the gunman would kill people row by row, Medley decided to save herself and her pregnancy, and she grabbed her husband’s hand. Two days after the July 20, 2012, shooting, Medley went into induced labor and gave birth to a boy, Hugo, in the same hospital where his father, Caleb, was fighting for his life. “He was literally in brain surgery when I was in labor,” Medley testified. It was his third brain surgery since being shot. Caleb Medley survived the shooting after being placed in a medically induced coma for about four weeks. But he cannot walk and can barely speak. In his own testimony on Tuesday, Caleb Medley responded to a prosecutor’s questions through an interpreter. He also answered with grunts and by pointing to letters on a board to spell out his responses. He spelled out his last name that way, and he uttered a grunt to confirm he was married to Katie Medley. “Mr. Medley, did you go to the Century 16 movie theater in Aurora, Colorado, on July 19 of 2012? Could you spell that answer, please?” a prosecutor asked. Y-E-S were the letters that Caleb Medley chose. “No more questions,” the prosecutor said. Rita Paulina recounted how she was shot and felt she was about to bleed to death in the cinema. She had a bullet in her leg and two more in her arm, and she told her husband, Anggiat Mora, to save himself and their son, Prodeo. Her husband pulled her out of the theater and then carried her on his back. “I prayed to God that if I would have died there, he would take me to heaven,” she testified. This week’s testimony occasionally prompted weeping among victims and relatives in the gallery and even among jurors. During such testimony, Holmes seemed to listen but showed no emotion. His parents, Bob and Arlene, are attending the trial, sitting slightly behind their son and next to journalists. The parents had a new box of tissues at their feet for the trial’s opening day Monday, but didn’t seem to use any of them. Arlene Holmes occasionally cupped her hand near her mouth Wednesday. The media and Holmes’ family, including his uncle on Monday, sat on one side of the gallery. Survivors and relatives of victims sat on the other side. Many relatives and some jurors cried Monday when Aurora police Sgt. Michael Hawkins testified how he tried to save 6-year-old Veronica Moser-Sullivan. Kaylan Bailey was 13 years old when she went to the movie, she testified. Now 16, she thought the gunman “was originally a prank,” she testified. Veronica’s mother used her own body to cover her daughter, Bailey said. “I remember she kept screaming Veronica’s name, and I kept telling her that she was OK,” Bailey said. Bailey put her hand on Veronica’s stomach and felt her breathing. But then it stopped, Bailey said. “She told me to give Veronica CPR and I told her that I couldn’t because Ashley, her mom, was on top of her and I couldn’t reach her chest,” Bailey said. Authorities tried to clear the cinema in case there was a second shooter. “If it’s got a pulse, get them out of here,” testified Officer Annette Brook, who has been on the Aurora force for 23 years. Holmes admits to the shootings but has said he was suffering “a psychotic episode” at the time, according to court papers filed in July 2013 by the state public defenders, Daniel King and Tamara A. Brady. During opening statements this week, District Attorney George Brauchler told the jury that two court-ordered “sanity exams” conducted by Dr. Jeff Metzner and Dr. William Reid concluded “that the guy was sane” — referring to Holmes — when he allegedly opened fire at the theater. The results of the two exams had been under seal before the trial. Brauchler said the two doctors may have come up with different diagnoses for Holmes’ mental illness, but they agreed he was not insane and they agreed he had a “superior intellect.” He reportedly told doctors he believed he could increase his self-worth by killing people. Prosecutors showed a video in court of a discussion between Holmes and Reid during the second sanity examination, on July 31, 2014. “I only count fatalities,” Holmes told the psychiatrist. Reid asked if there is a difference between the wounded and the deceased. The doctor asked if that was something positive. What about the wounded, the doctor asked. Survivors and victims’ relatives gasped in the gallery and emitted sounds of disgust. Prosecutors also revealed for the first time the contents of Holmes’ notebook, which was initially addressed to his mom, dad and sister, although he eventually sent it to his University of Colorado psychiatrist, Dr. Lynne Fenton. Brauchler said that within the notebook, Holmes talks about the meaning of life and death and about what he thinks is wrong with him. “He also talks about longstanding hatred of mankind,” the district attorney said. The notebook reportedly includes a detailed analysis of how to attack the theater. Prosecutors also showed photos of Holmes taken before the mass shooting: He was wearing black contacts, with bright orange hair and his tongue sticking out. Holmes posted the photo on Adult Friend Finder, a website for individuals looking for sexual relationships. Holmes told Reid during the second sanity exam that he wanted to “look dangerous” in the photos, prosecutors said. Holmes also said he was more likely to be remembered as someone more than mundane. Many of the relatives are asking the media to withhold Holmes’ name from their stories because the families assert that mass killers commit atrocities for publicity and attention. Holmes now has a different appearance, with short brown hair, glasses, a slight beard and mustache. Aurora police Officer Jason Oviatt’s stare — it was a telling moment in a week marked by tense and often tearful testimony. The patrolman who arrested murder defendant James Holmes was wrapping up his testimony in the Colorado movie theater shooting trial Thursday when the judge called attorneys for both sides to the bench. Oviatt had already glared at Holmes at least 20 times during his hourlong testimony on the witness stand. The bench conference brought a pause in the proceedings — and an opportunity. From his seat about 10 feet away, Oviatt turned to Holmes and began to stare. For a full minute, the dark-eyed, square-jawed officer locked in on the admitted gunman and didn’t flinch. Holmes swiveled slightly in his chair, as he often has during this first week of his capital murder trial. If he reacted to Oviatt in any other way, it wasn’t visible to those seated in the courtroom gallery. At the defense table, Holmes is tethered to the floor by a harness and cable. All five patrol officers who testified Thursday had to point Holmes out in court for the record. A few occasionally looked at Holmes, but none with the same directness and intensity as Oviatt. An Aurora Police Department spokeswoman said Oviatt wouldn’t be able to comment on his testimony. “We can’t say anything or draw attention to the case,” Officer Diana Cooley said. The court issued a strict gag order restricting information shortly after Holmes was arrested in July 2012. Tom Teves, whose son Alex died in the theater, offered a possible explanation of the motivation behind Oviatt’s big stare. The defendant, who has pleaded not guilty by reason of insanity, admits he was the shooter who killed 12 people and injured 70 others during a midnight showing of the Batman movie “The Dark Knight Rises.” Holmes would be committed indefinitely to a state mental hospital if the jury finds he was insane. His attorneys contend he was so plagued with schizophrenia that he didn't know right from wrong. The trial, which is expected to last up to five months, resumes testimony on Monday. The jury concluded its first week Thursday afternoon on a grim note. Graphic crime scene photos of the 10 victims who died in the theater were entered into evidence and briefly displayed in the courtroom. None of the victims were in their seats. Instead, they were found between theater rows and on aisle steps. Signs of the chaos — spent ammo, spilled snacks, abandoned purses, cellphones and shoes — were all around them. On July 20, 2012, Oviatt was one of the first officers to arrive at the back of the Century 16 movie theater building shortly after the shooting call went out at about 12:38 a.m. In court Thursday, Holmes watched as Oviatt used a stick to point out on a projected photo where he was and describe what he saw when he arrived on the scene. But Oviatt and another responding officer were quickly distracted by someone they initially believed was an officer standing beside a white sedan behind the building. The individual was dressed head to toe in riot-type gear, but Oviatt said something wasn’t quite right. “The person wasn’t acting like a cop,” said Oviatt, explaining that the individual in the body armor had no sense of urgency. At that point, Oviatt and his colleague ordered the individual to put their hands in the air, then to lie on the ground, where Oviatt put the person in handcuffs. All the officers who testified said the suspect didn't resist arrest or attempt to flee. Oviatt described the suspect as being vacant. “By vacant I mean not displaying any outward emotion or outward engagement of what’s going on,” the officer said. On cross-examination, lawyer Daniel King’s questions played to the defense’s argument that Holmes’ behavior that night was a result of his mental illness. Half of Thursday’s testimony was from officers describing the chaotic scene behind the theater where Holmes was arrested and the most severely injured were whisked away in police cars when ambulances couldn’t be had. Police were so busying ferrying the wounded to hospitals that they couldn’t haul Holmes to police headquarters. Instead, officers stripped him of his body armor and clothing and left him handcuffed in a squad car in his underwear and a T-shirt. Oviatt stood guard outside the car. Holmes, meanwhile, sat in the backseat “sort of taking it all in,” Oviatt said. “He would sort of look around when a car would go speeding off or when someone would scream loud,” the officer said. Have been keeping up with this on the news. My God, it's simply horrific to hear survivors on the stand describe what happened! !